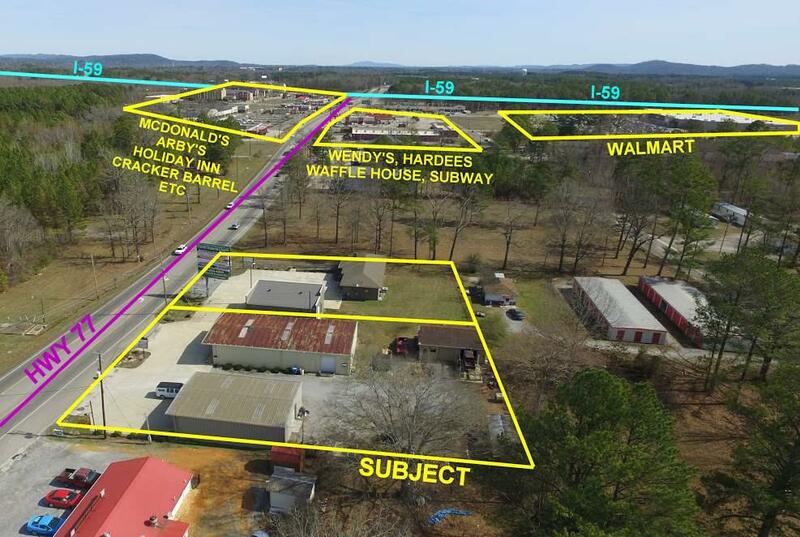 COMMERCIAL- HWY 77- ATTALLA- 2 BUILDINGS + BILLBOARD on 1/2 acre +/- parcel with HIGH VISIBILITY & HIGH TRAFFIC COUNT. - 2,000 sq ft +/- building built in 2010 previously used as a pawn shop. Ranch style commercial building currently rents for $600/month with the same tenant for the past 7 years and has another unit attached that has rented for $400. Long term Billboard tenant @ $100/month. $2,100 in potential rent. Adjacent income producing property available! Call for more details!